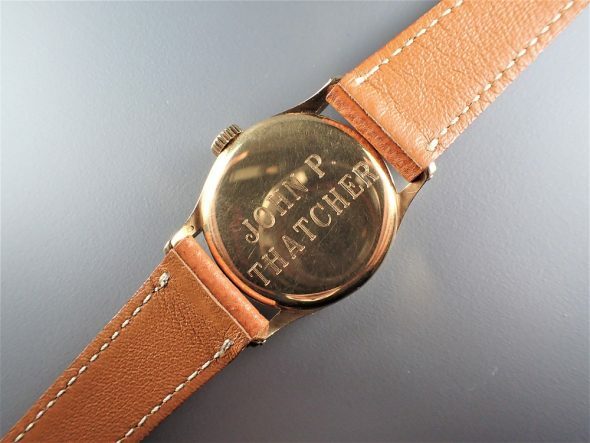 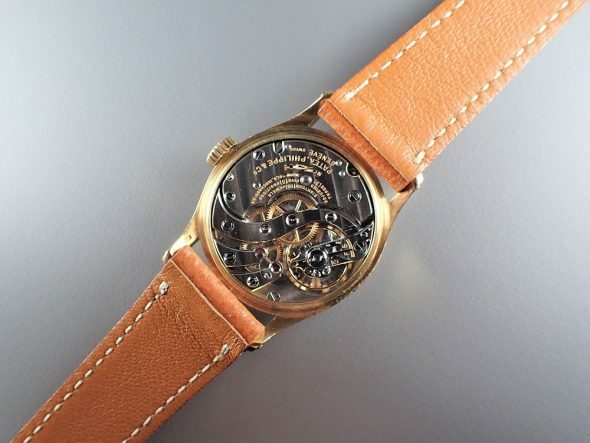 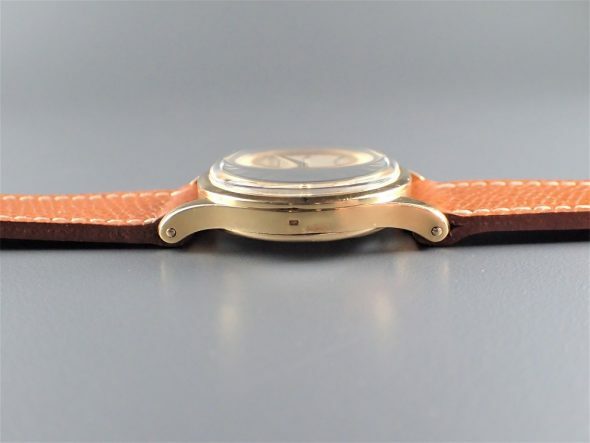 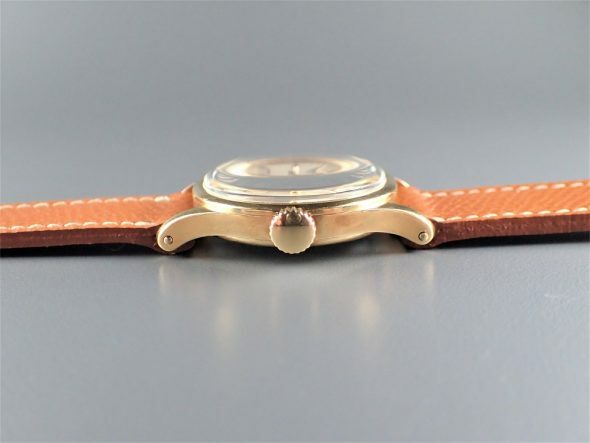 A very fine and extremely rare 18k yellow gold manual-winding wristwatch ref.2418. 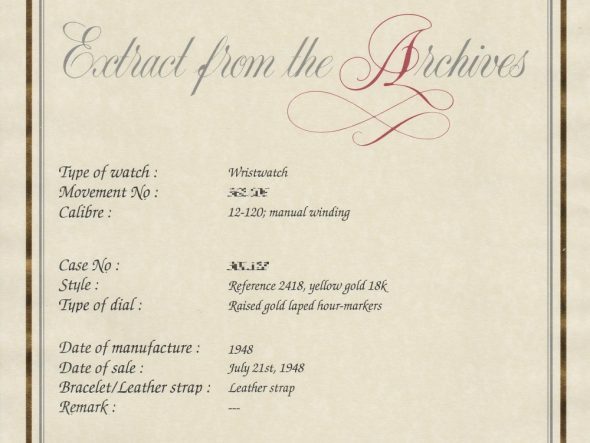 With Patek Philippe Extract from the Archives confirming production of this watch with raised gold laped hour-markers in 1948 and its subsequent sale on July 21st., 1948. 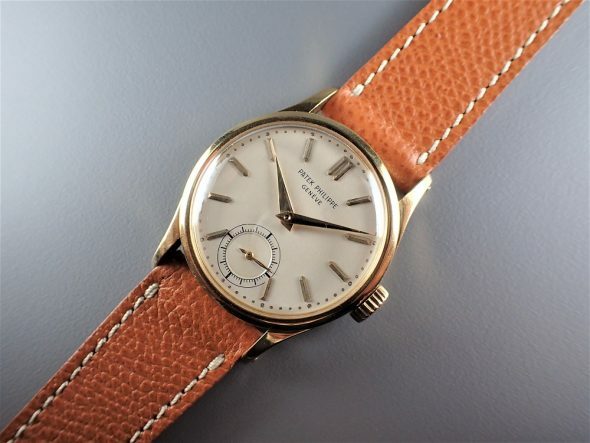 Ref.2418 is one of the rarest references ever made by Patek Philippe. 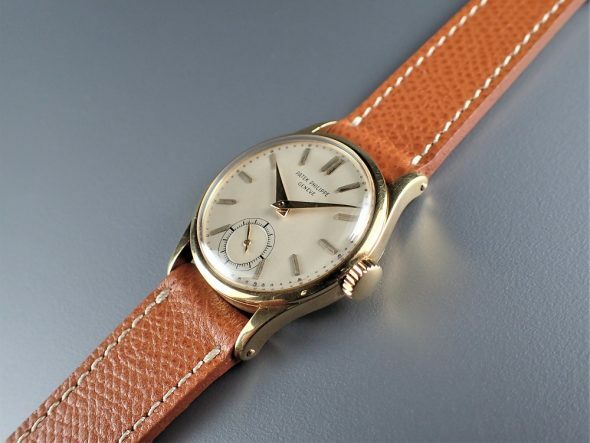 The reference started production in 1946 and was made only limited numbers in very short period.